Marie Wells Coutu claims she has been writing all her life. Through story, she hopes to inspire women to find God's purpose for their lives regardless of where they've been or what they've done. A writer and editor for newspapers, magazines, nonfiction books, and government agencies, she has edited devotionals and other books published by the Billy Graham Evangelistic Association. In addition to managing Mended-Vessels, she writes an inspirational blog titled Bless You. 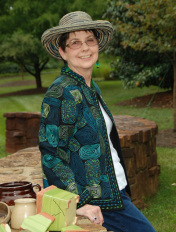 She began writing fiction at age 55 and is represented by Leslie Stobbe Literary Agency. A member of American Christian Fiction Writers, she serves as president of the local chapter, Carolina Christian Writers. She and her husband live in South Carolina and have two children and three grandsons. Susan Tuttle has loved reading and writing since she was a child. In the past few years, God began to develop her love of writing along with a vision for women’s ministry. While yet unpublished, Susan continues her journey step-by-step along each brick God lays on her path. Her passion is two-fold: To write stories—just as Christ told parables—and to use them to reach hurting women so they may be drawn into His healing embrace. A member of ACFW, Susan is married to her best friend, Doug, and currently homeschools her three children at their home in Michigan. In her early mornings and late evenings, she works on her blog which is linked to her church and continues to write the books God has placed on her heart. Read more of Susan's writing on her blog, Steps. Vera Warren Carroll is an ordained minister at Seigle Avenue First Church of God, Charlotte, NC, serving as the minister of outreach. 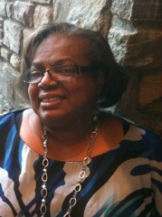 She majored in Communications at Queens College in Charlotte and retired from Duke Energy after 35 years of service. She is the call center Assistant Manager for The Billy Graham Evangelistic Association. Vera has published feature articles in the inspirational magazine, “Woman2Woman,” and has a published book titled Trust Him. She is the divorced mother of two adult children and grandmother of four who all live in the Charlotte area. Vera enjoys reading, writing, traveling, NFL Football and time with her family. Life has been filled with many struggles, hurts, disappointments and challenges that have directed her path and brought her closer to God.